Lots of activity along the Barra waterfront over the weekend. Helicopters landing, heavy equipment and some huge plastic bags delivered to the Malecon Saturday evening. 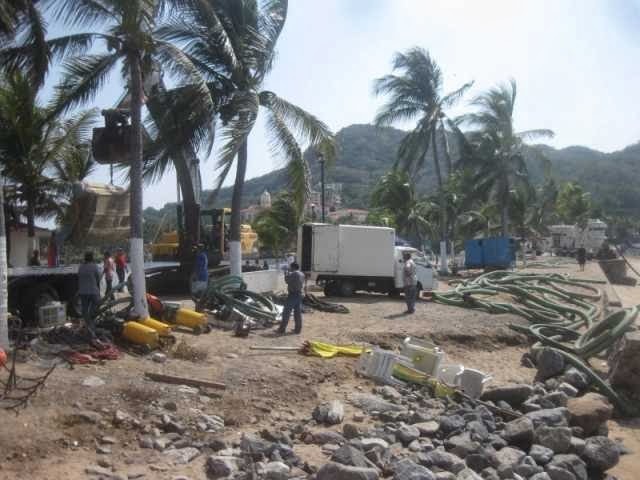 Now the Malecon is loaded with equipment to fill those bags to form an underwater reef to hopefully slow the wave action that has destroyed many of the beach side structures. 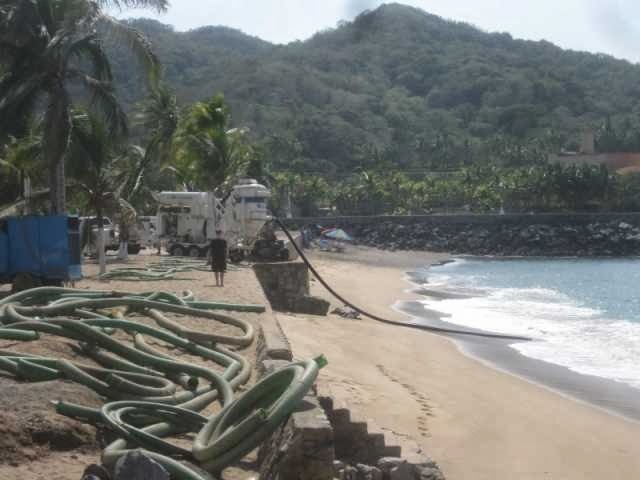 Suggestions have been to pump/dredge sand from the lagoon over the Malecon and into the bags. Should be interesting to watch and see what successes and or trials they have to make this work. 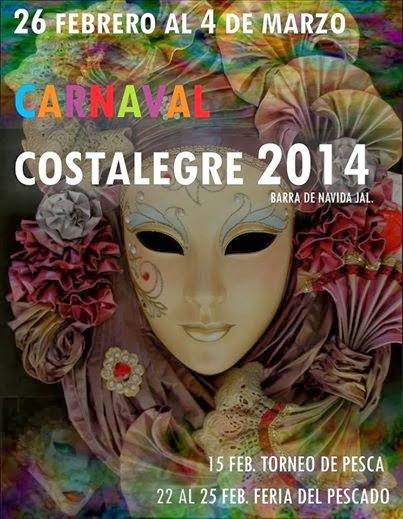 Carnaval Costalegre 2014 / Mardi Gras 2014 Feb. 15th - March 4th. Horse Parade and Farola - Fishing Fair and Tournament - Carnaval Parade - Bull Riding competition and Jaripeos - Music and Cultural activities almost daily.